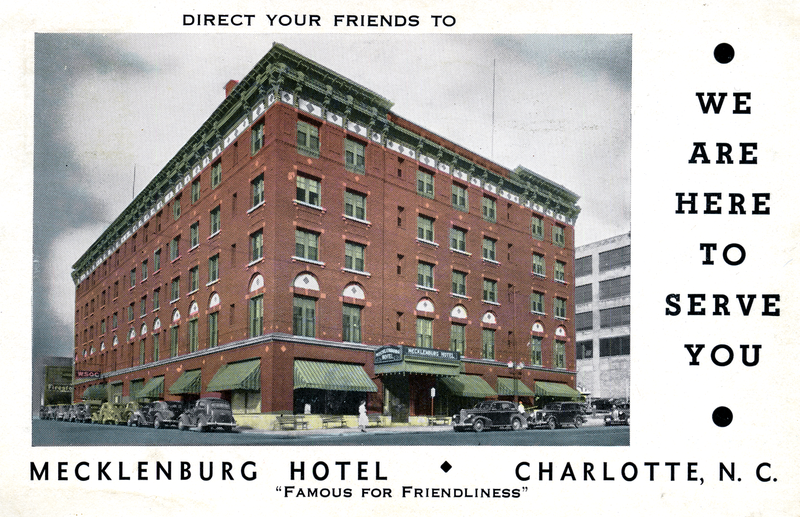 The Mecklenburg Hotel was located at 520-524 West Trade Street. It was built in 1914 by W.C. Petty.